This pullover is designed with a modern aesthetic that can take you from the office to the gym and coincide with your active lifestyle. Perfect warmth for fall and winter seasons. 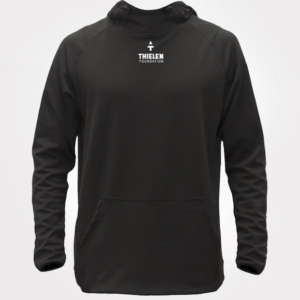 Stretchy tech fabric with soft brushed fleece interior plus 8% spandex; Better moisture-management and features a relaxed fit. 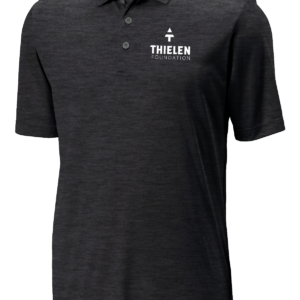 Brushed fleece interior offer comfort and a utility sleeve pocker offers function and Thielen Foundation’s inspiring tagline “Achieve Your Full Potential” is embroidered on the inside panel of the zipper! 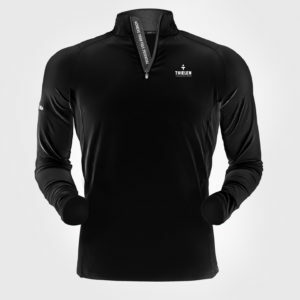 Adam has been seen wearing this quarter-zip around town! 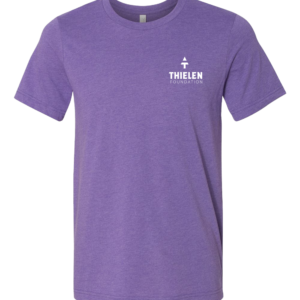 *This item is men’s sizes, so women order a size smaller.